The Jonas Swedish Berry Picker is an ingenious and popular device to aid the quick and easy harvesting of various wild fruits. Simple to use and light enough to throw in your rucksack, this tool makes fruit picking fun and pain-free. Formed of a rounded wire comb encased in tough plastic housing, this is a modern version of the tool used by Ray in his Wild Food BBC series and is made by Linden, the Swedish manufacturers of popular chef tools and kitchen accessories. Many of us enjoy a dash of blueberries or raspberries on our breakfasts in the morning, but the high supermarket prices can be off-putting. The thought of picking them all by hand in amongst thorn-covered bushes isn't too appealing either! But you can avoid both of these problems with the Jonas Berry Picker. With its easy-grip handle and ample space for collected fruit, you'll reap the benefits in no time. Jonas Swedish Berry Picker is rated 5/5 based on 58 customer reviews. I have not tried this yet, but it's a very solid product! 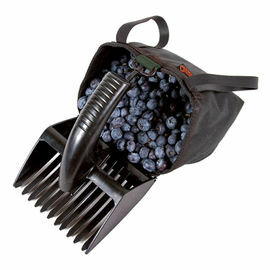 I love my Berry Picker, saves lots of time and effort, it is so handy. Watch out for spiders, they don't get hurt during the picking process but they do get disturbed and run up your arm! I bought one for a friend who used mine and loved it. Nice sturdy berry picker. Unlikely to break as prongs are metal, not plastic. The main body is a strong plastic and should last for years. I have picked plenty of Bilberries with this berry picker. The berry pickers are at first bigger than you might expect, however they are an appropriate size which are easy and effective in use. Tested on wild bilberries and homegrown redcurrants, we found them to be well designed & well-made. The berry picker I received was not the one that shown on the website, in stead of it having metal teeth as stated, it has a tough plastic teeth rake, this did not matter to me, I still bought it. I was impressed with sale service as a member of woodlore team emailed me and even phoned me on my mobile and left a message explaining the situation. They with held the order until I confirmed I was happy to go head with the alternative berry picker, instead of just sending the alternative product. I was most impressed. A very professional and friendly service. I've only used this very quickly picking blackberries, it seemed to work ok. I'm going to really test it on solon berry and any other edible berries I see later in the season. I think it is capable of the job, we will see. Excellent little device. It made such a difference to bilberry picking, speeding up the process no end. It's very easy to use. Just be careful not to be too vigorous with it or you'll bend the tines. I would recommend it. It's much easier with the berry pickers. They worked well. Great for all the family too. My 6 year old granddaughter and 2 year old grandson enjoyed using these berry pickers. Although, the 2 year old grandson tended to tip the contents onto the ground. They were very pleased to take their picked blackcurrants home with them. Superb piece of equipment. I've used it alot in Sweden for picking lingonberry, blueberry, blackberry and raspberry. It's a good quality product, durable and lightweight. 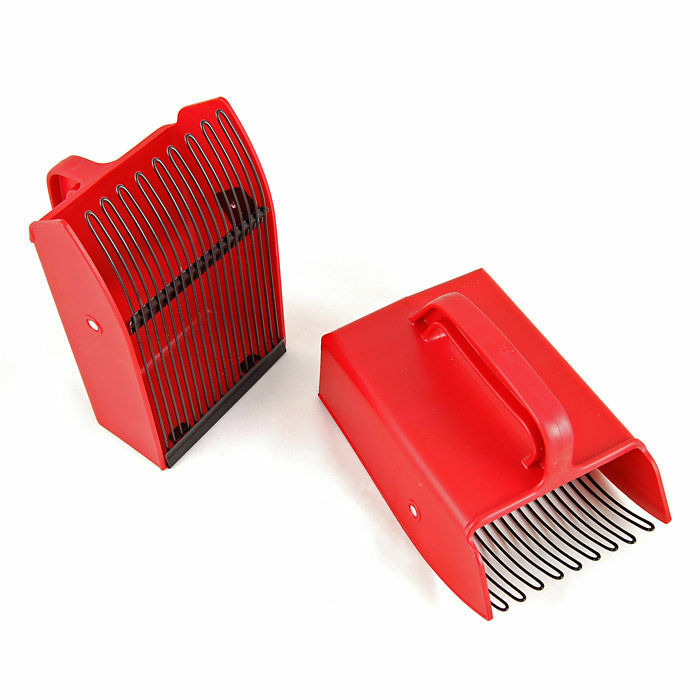 The wire comb lets you pick any berry with ease and the berries don't fall out of the picker. It's a must have! This gadget is amazing. It is so much quicker and easier to collect my berries. Little bit of a knack to it but once I got used to it was easy. Love it! As I am suffering with a bit of a cold at the moment decided to give this a go foraging for rosehips to make a brew. This picker is brilliant and I harvested loads in minutes. Even better as I walked back all I had to do was shake it a bit and all the small bits of unwanted material and associated bugs fell out through the wire mesh meaning a lot less effort whilst processing. Only wish I had bought one sooner as it would have been a fantastic aid for foraging a few months ago.